Based in the centre of Portsmouth this flexible coworking space is ideal for tech entrepreneurs looking for flexible breakfast bar desks or dedicated office space. This centre doesn't just provide space but also a range of back end support including Payroll, Accounts, Invoicing, credit control, Tax etc. as well as mentoring and coaching as well a s Seed and VC funding. The town of Portsmouth offers great attractions, including some excellent places to eat and drink. This beautiful Grade II Listed Georgian house has been converted into 44 separate offices spread over three separate floors. Within 10 minutes of Portsmouth town centre, options are available for anything from a small one-person office, up to a 10-person space or even a whole floor. 10 minutes away is Hilsea Railway Station, providing a direct rail link to London Waterloo, and local bus routes also serve the area. 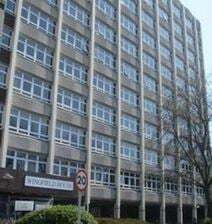 Located in the heart of Portsmouth, this centre is just a few minutes from the M27 and a short walk from Hilsea train station. The centre provides office space with a range of amenities including storage and workshops. Available now on flexible terms. A Portsmouth business centre offering an open plan office space, surrounded by smaller offices and meeting room. There is a staffed reception, conference facilities and refreshment outlets. Located just off the M275 and A3, with easy access to the major coastal roads and A3 (M) The centre is very close to the cross channel ferry terminal. Opened in March 2017 this business centre is close to the entrance of Port Solent Marina and offers a range of bright and contemporary offices suitable for one to 20+ people. An on-site manager is available to take care of the building so you can focus on your work. Local amenities include bars, cafes and restaurants such as Pizza Express, and there are bus and rail services in the surrounding area. 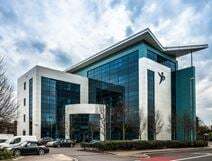 A selection of offices is available to let in this impressive building, which hosts numerous companies. The building offers a wide range of high quality services to support your company and help you run a successful business. The building benefits from direct access to the motorway network and is easily accessible. A Portsmouth business centre offering fully serviced, air-conditioned offices, with the latest in IT and telecommunications systems. Featuring an impressive atrium, staffed reception, meeting rooms, kitchen areas and restaurant. Located in a pleasantly landscaped office village development next to the M27, providing excellent links to Southampton and London. A free shuttle bus runs to Cosham rail station, for services between Southampton and Brighton, and to Cardiff. Set in the heart of Portsmouth, this serviced office centre is a short walk from Commercial Road, with easy links to the M275. This purpose-built office building offers open-plan workspace on flexible terms.